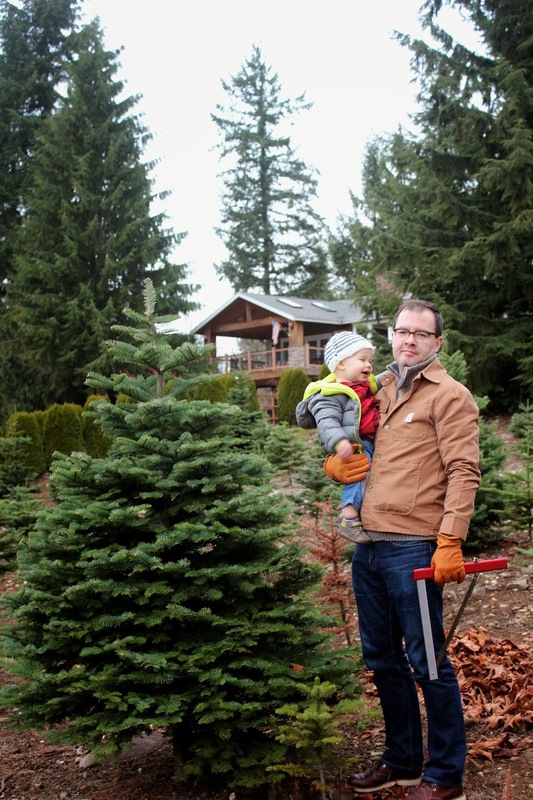 We took Little Man to the Tree Farm Thanksgiving Weekend. He absolutely loved it. I had no idea he would be so into it. He kept trying to wander off into the trees on his own. As a kid, we always cut down our own tree. This was the first time my husband has ever done something like this and I think that he loved the experience, as well. It was quality family time. Definitely a new tradition for our little family. We found it! Unfortunately, I was so excited I didn't take this from another angle, so we have this giant house in the background. You'll notice I brought some ground protection along for the husband. He was impressed. It's not my first rodeo.